DREAMLAND | Design + Direct DREAMLAND is an inventive architecture and design lab and office supported by an aligned and humane working process. Our particular interest is to promote understanding and empathy as the core of pioneering ideas. We aspire to a future of connected living.Our holistic, design process comes to life at DREAMLAND through our L.A.B. The L.A.B. consists of three interconnected branches: DREAMLAND LEARNING, DREAMLAND ALLIANCE and DREAMLAND BUILDING. 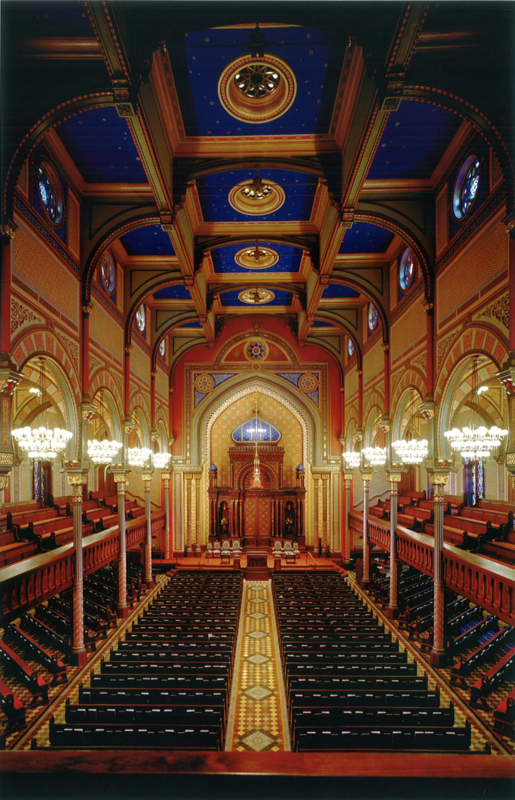 Constructed in 1872, this Landmark Synagogue was damaged by fire in 1998. The restoration retains the original historic Moorish character while meeting contemporary needs. Significant aspects of the restoration are the multicolored stencil patterns (revealed through water damage in the fire), stained glass windows, lighting, the original slate roof, roof crenellations and gold finish on the miniarets. The interior seating layout is reconfigured and a new event hall below grade is created. As Associate for Hardy Holzman Pfeiffer Associates (H3).